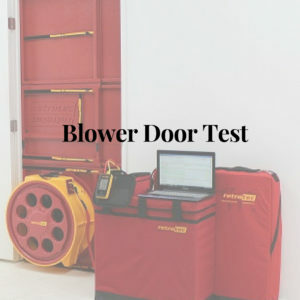 Blower door tests measure the air tightness of a building and determine the home’s air infiltration rate. How it works: A certified auditor mounts a powerful fan onto an exterior door. The fan pulls air out of the house, lowering the air pressure inside. The higher outside air pressure then sneaks back into the house through all of the unsealed cracks and openings. It’s important that auditors use a calibrated door for this process. The calibrated blower door’s data allows the auditor to quantify the effectiveness of any air-sealing job by the amount of air leakage. That leakage is measured by the amount of air it takes (in cubic feet per minute) to change the air pressure in the house by 50 Pascals, or cfm50. A good rule of thumb is that your house should have a cfm50 equal to or less than its square footage. Building Envelope Pressure Meter What does the color of your front door say about you?